Killara is an adult day care and respite centre proudly sponsored by the Shire of Northam and funded by the Home and Community Care Program (HACC) and the National Respite for Carers Program (NRCP). Killara provides flexible centre based day care, respite and social support services for aged and disabled (over the age of 18) people and their carers. Services are provided so these people may remain living in the community. Our personalised approach means we can design a plan of care that takes into account the client’s needs. We encourage clients to maintain their independence and we support carers in their caring role. Some clients come daily or weekly and some clients may prefer to only attend the special interest groups. Clients can be referred by themselves, a family member, a friend or community agency provided prior consent has been obtained from the client. To self refer, telephone Killara on 9622 5765 or call at the Centre. A few questions to establish Eligibility may be asked either over the phone or face to face. Once eligibility has been established a face-to-face assessment is conducted at which point a care plan will be discussed and agreed upon according to the client’s needs. Killara is committed to delivering its services with a focus on the Wellness Approach. Wellness is about supporting clients to be as independent as they can be. Fees are calculated in accordance with the HACC Fees Policy. Clients are income assessed and a higher level of income may incur a slightly higher fee. As a guide, currently fees for clients on a full pension are $8.00 per day. No client will be refused a service due to his or her inability to pay the fee for the service. Meal costs are not included in the fee and clients are expected to pay for their meals. As a guide, currently meal costs for centre based day care are $9. Centre Based Day Care (CBDC) for the aged is provided in Northam seven days a week and at Wundowie one day a week. A variety of activities is offered at the Centre and transport can be provided to and from the Centre if required. CBDC hours are usually 10am to 3pm. CBDC for younger adults with disabilities is held on Wednesdays. 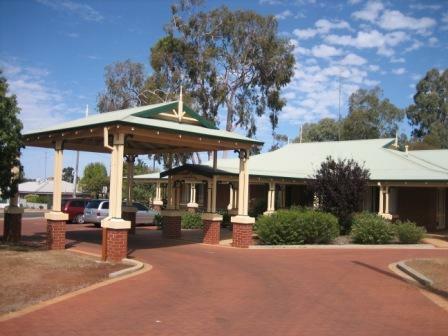 Clients may reside in the Shires of Northam, Toodyay, Cunderdin or Goomalling. Flexible respite options are available seven days a week, including normal business hours, early mornings, afternoons, evenings, overnights and weekends. For carers who are employed, studying or looking for work, respite is available to suit the hours needed. Respite is generally planned but we can meet most requests for unplanned and emergency respite. Respite is provided at the Centre but in-home respite or respite at another venue may also be available. Block respite from 2-4 days is available to clients residing in the Shire of Northam with limited blocks to residents of the Shires of Cunderdin, York, Goomalling and Toodyay. Social Support services are offered seven days a week. Special outings are arranged each month for low-needs clients who are reasonably mobile. Regular outings for men are arranged twice a month. Activities for men in the shed each Friday. Includes setting up model train sets. A Multicultural Group meets once a month. ATSI groups are arranged depending on demand. An intergenerational program is conducted each year in conjunction with St Joseph’s Primary School. Centre Based Day Care and Respite services are held in Wundowie on Thursdays. A support group for carers meets 4 times a year. Respite for care recipients can be provided at Killara while carers attend the meeting. Small groups meet at a local cafe monthly on a Wednesday. 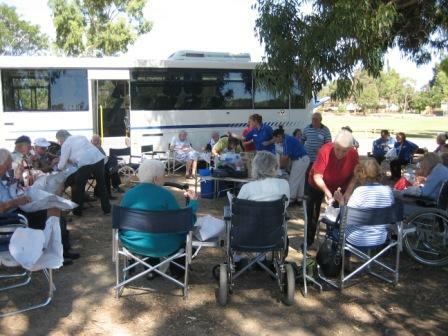 The Killara Advisory Group comprises carers, clients and volunteers and meets 4 times per year. The group provides advice and assistance to ensure our services are meeting the needs of people requiring assistance to live independently in the community.